Facebook has not only changed how we communicate to each other, but how we collect data for the benefit of our business. As opposed to big budget ad campaigns that often become ineffective due to no direction, Facebook has refined its advertising mechanism so that target users will see your product and enjoy it. These advancements in online marketing have made it possible to interact when more data is collected from the users, which is opposed to the days of the user data being stored provided little to no avenues of strategy for the marketer. With this being said, here’s a brief look at how Facebook Data Analytics benefit not only how a company invests into marketing… but the effectiveness of their marketing strategies in relations to the customer. Facebook Data Analytics is a way to focus on two important metrics when marketing a product, namely: post stats and post reach. However, although these two metrics are important by themselves, they shouldn’t become the central focus of measurement for your business. 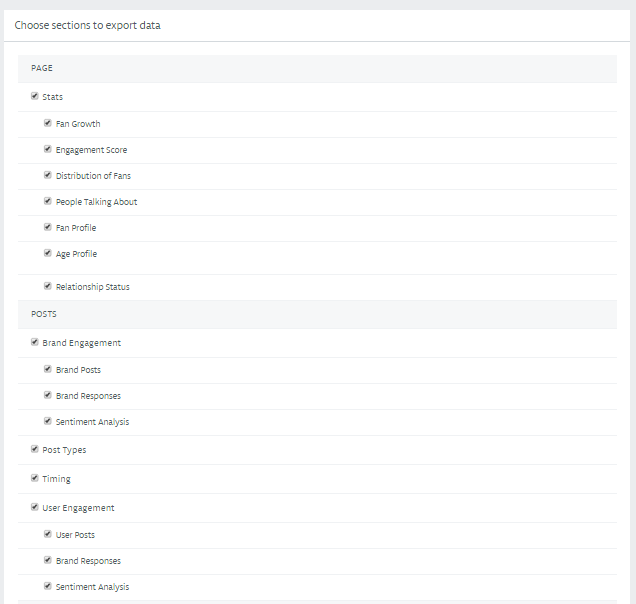 Facebook Analytics also provides the age demographic, gender demographic, and locations of where your visits are coming from so you can have a general idea of the traffic you’re pulling in. What they don’t provide is what your visits have in common (other content your visitors enjoy) and what they do after they visit your content. With this being said, let’s go back to your business for a moment. What you should consider is how many people you are reaching with your posts, especially how many of those fans are engaging in your content or what content caught their attention the most. Although the improved insights for Facebook’s program does show excellent information, you need to export the files/data to see the results. To access this information, you’ll need to click on the Insights button. From there, you’ll need to click on the “Export Data” button to download the information. Now you’ll have the ability to download the information you want regarding your business. Dates, posts, popularity, and so much more are at your fingertips in terms of figuring out how your customers respond to the information you distribute. Selecting the new import works great as it allows you to work from dates in the past, making progress reports available from the time your Facebook page was created. When downloading your information, make sure you download the post level data and the page level data. You will need to download the information separately, so downloading one or the other won’t provide you will all the information you’ll need. So now that you’ve taken care of this process, it’s on to finding out what your business needs and what customers enjoy the most. Going over this information is very important, so here’s a look a what information you should take seriously to make progress. Social media has opened a whole new way of how a business can interact with its customers. A Tweet or post on a page can garner a response from a customer service representative in minutes… a very far cry from the days of calling customer service numbers to wait on hold or mailing information and waiting weeks for a reply. The flip side of the coin is that current methods of engaging fans are only a small portion of the work behind a published piece of content. Creating a post that resonates with the audience to the point where they cannot help but share or discuss with friends, family, or co-workers is what all businesses strive for… as that’s what keeps them in business. How many fans the post reached. How many impressions were made by paid fans. General fans of the post. Fans that engaged in the post. How many paid fans your post reached. Fan demographics (briefly explained above) have a huge impact on understanding who you’re catering to and who enjoys your service. The ages, locations, and gender are all at your fingertips to understand who enjoys your service the most for your benefit. Although it doesn’t single out individuals viewing your content, it does provide enough information as to where to market your product and who to market it to. If it wasn’t for this service, many businesses would still stabbing in the dark to find resources of information on their product. Another interesting thing fan demographics offer is the fact that they allow you to know who’s talking about your product or service in what language. There’s a lot of reasons why third parties exist for Facebook analytics, but the main is due to the fact that they fill the holes that Facebook Insights tends to forget. Pairing this along with the fact that you’re only receiving general information regarding their service, it leaves a lot of open questions regarding your traffic. One of the best things third parties do is that they can take your data comprised of numbers and letters, then turn them into easily digestible information to share with peers. Customizable reports across all major sectors are downloadable in both power point and excel format. They also can show percentage increases and decreases over time to give you an idea of how you’ve been doing, how you’re doing at the moment, and how things are looking in the future. Basically, third parties take the data/information from Facebook and turn it into worthwhile information that can benefit your business in the future. 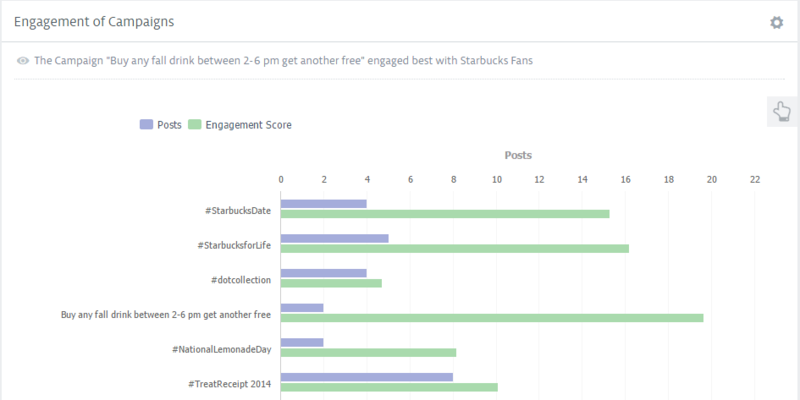 Unmetric provides campaign intelligence, where campaigns run by the biggest brands around the world are tagged and organized in format that gives great insight into the social media strategy of a brand. This way a brand can easily understand how well a campaign performed and compare it to not only a previous campaign, but also its competitor. Facebook gives you the data… third parties make it useful. To check out all these awesome features and more, you can take Unmetric for a spin by clicking below.